Here's the key to turning him into your very own oppa. In a few series and variety shows, some oppas are seen or openly admit that they enjoy watching Korean dramas. They’re proud fanboys—ain’t no shame in appreciating the thrilling storylines. But here, Pinoy men aren’t as open to admitting they they’re nilamon ng sistema. More accurately, many won’t even give the series we love a chance. So what’s a woman who’s ~*obsessed*~ with Korean dramas gotta do to convince her boyfriend to share the love? Work on your elevator pitch. What makes the show entertaining? What makes it unique compared to Pinoy soap operas, animated manga series, American cable TV shows, or whatever else that has him hooked? Make him realize the hype is not only because of the oppas, but also because of the gripping stories. A lot of K-dramas accurately depict how to handle a girl who gets mad at her boyfriend or how a guy can make her kilig. Bae could use that to his advantage. Compare the series you’re selling to the shows or movies he loves. If he’s into action or suspense, recommend period dramas like Hwarang or thrillers like K2. If he enjoys crime shows, how about recent K-dramas like The Defendant or even the Korean adaptation of Criminal Minds? Let’s be real: Most of us rely on free streaming sites and downloads because they don’t hurt our bank accounts. The pocket-friendly package includes a computer or phone, a stable internet connection (gigabyte limits are the devil! ), and a storage device for those who prefer uninterrupted binge watching. Appeal to his practical side, and maybe he’ll consider! Download complete episodes for him. He wouldn’t let all your efforts go to waste now, would he? Name names—and by “influential,” we mean someone he might want to be like. It could be your dad (whom your mom probably influenced), your brother (whom his girlfriend probably convinced), a close friend of his, or even a celebrity fanboy. Any partner who loves spending time with you would find it annoying if you bonded with someone else more frequently. He’ll especially be irritated if you’re always fangirling on your phone, not being able to hold your ~*feelings*~ back, and possibly failing to keep your attention on him. If your BFF is a guy, he might even be pettily jealous and watch just so he could get more bae time. You’re basically allowing him to admire someone other than you, so it should convince him to watch, right? Tell him endless stories related to K-Dramas. Describe how dreamy Park Seo Joon or Gong Yoo is, and give him a hint that you’ll totally swoon if he’d just look at you the way they do. You might even mention how they turn you on. He will eventually be curious (or annoyed)—enough to see for himself if these “nobodies” you call oppas even measure up to him. 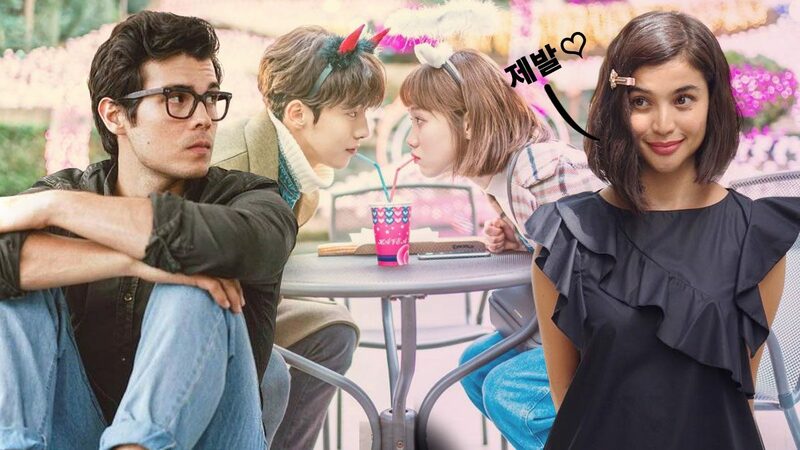 According to the intricate ~*science*~ of Korean dramas, aegyo is the ultimate weapon to get what you want. It involves acting ridiculously cute and pleading with all your charms until your guy gives in. It doesn’t work on everyone, and it can sometimes be cringey AF, so proceed with caution! But when all else fails, your pa-cute always works on him naman, ‘di ba? Or maybe offer to play his favorite video game with him? In any relationship, it’s all about give and take. You might just get to know each other better and find new bonding experiences! Challenge accepted, ladies?